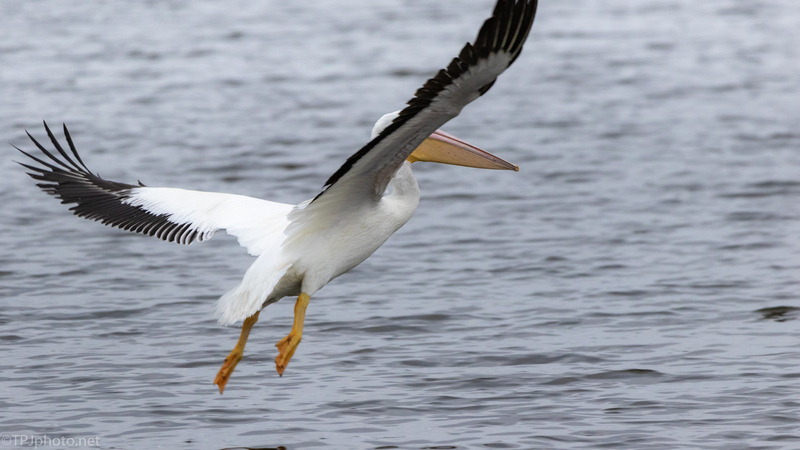 I was taking basic, random, shots of a few White Pelicans that had come near. That in itself is unusual. However suddenly this one made a quick move, focused on something I didn’t see. He didn’t try to get any lift. The flight was short and surface level. I never have noticed a Pelican aggressively trying to steal from another bird. But that was the plan. 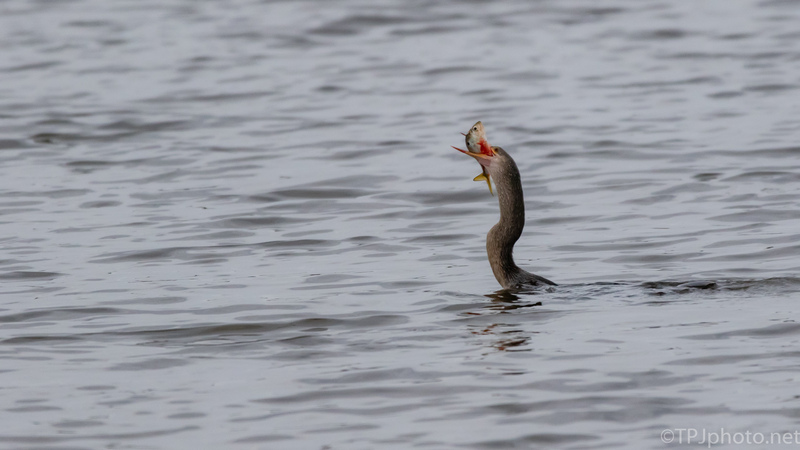 An Anhinga has surfaced with a catch and been spotted by the Pelican. In a flash the smaller bird went back under, it was no contest. 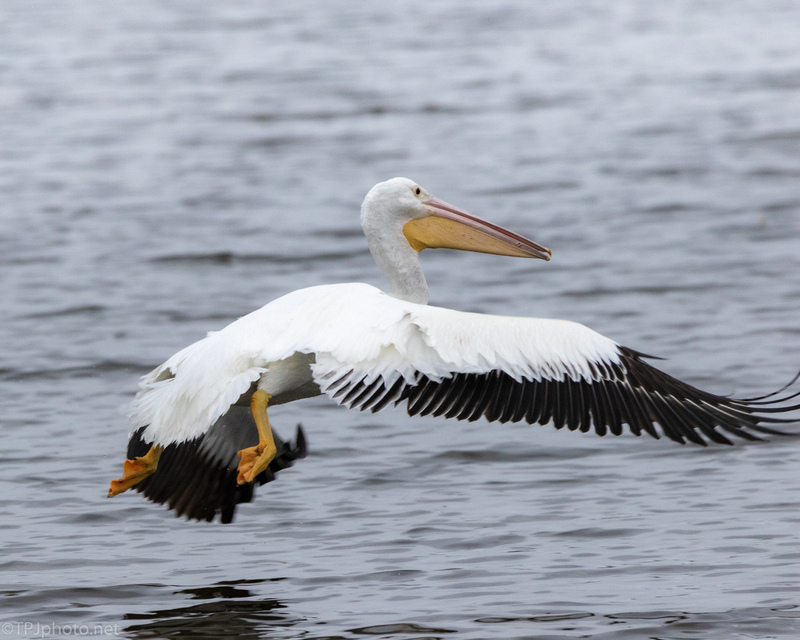 So I had seen a new trick to keep in mind when out photographing the White Pelicans.